AirForces Monthly - November Issue - OUT NOW! 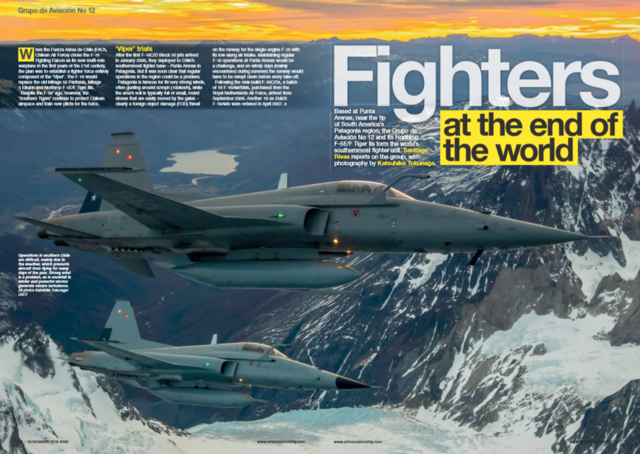 Based at Punta Arenas, near the tip of South America’s Patagonia region, the Grupo de Aviación No 12 and its Northrop F-5E/F Tiger IIs form the world’s southernmost fighter unit. Santiago Rivas reports on the group, with photography by Katsuhiko Tokunaga. Lt Col István Toperczer watched the Hungarian Air Force’s latest exercise in Vidsel, Sweden, to see its Gripens deliver live air-to-ground munitions for the first time. The retirement of the venerable Sea King ASaC7 has finally called time on the type’s UK military career. Richard Scott reports from Culdrose. 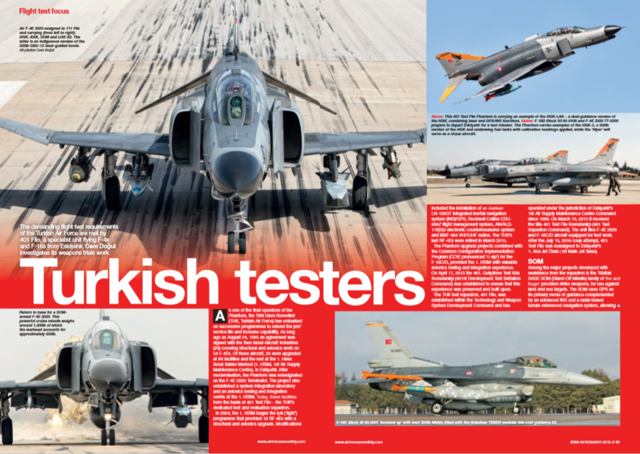 The demanding flight test requirements of the Turkish Air Force are met by 401 Filo, a specialist unit flying F-4s and F-16s from Eskişehir. Cem Doğut investigates its weapons trials work. While Israel’s activity during the first six years of the Syrian conflict was shrouded in secrecy, over the past eight months many events have been brought to light either by Israeli officials or by the overt nature of its actions. Yissachar Ruas received some insight into the campaign from a high-ranking Israeli Air Force source. VMR Belle Chasse are the ‘people and parts’ specialists of the Marine Forces Reserve. Joe Copalman visited New Orleans to see the operational support airlift squadron at work. 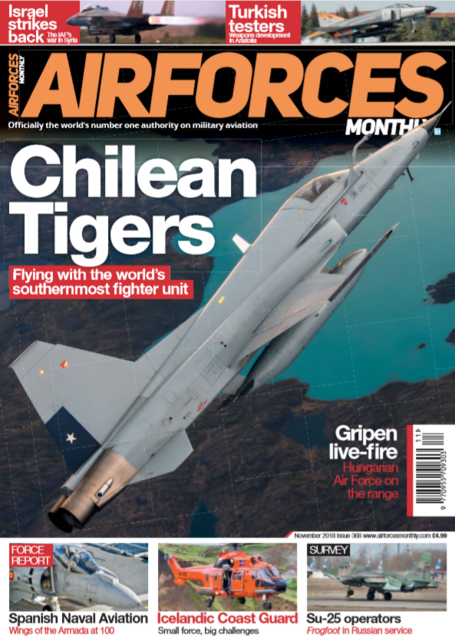 AirForces Monthly is AVAILABLE NOW for just £4.99 from the Key Online Shop. Alternatively, you can purchase your copy from WHSmith, any other leading newsagent or download your digital copy here.